Thank you for joining us to experience the beauty of quality orchids! 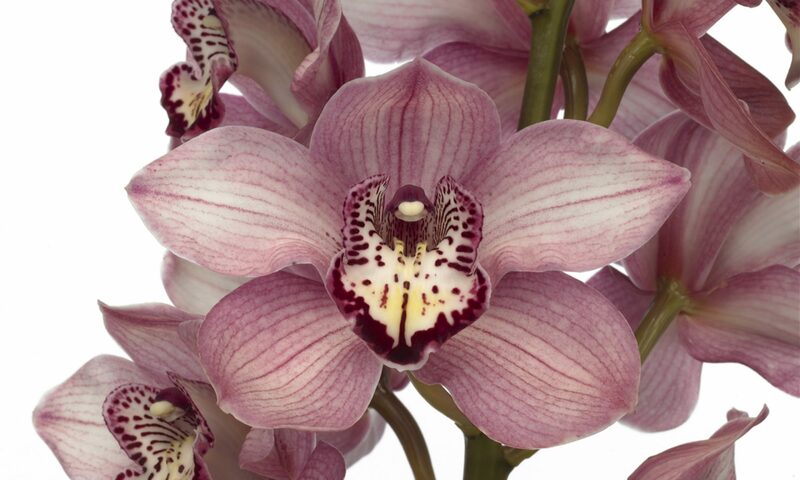 Feel free to browse our site for information on the orchid varieties we grow. Visit our photo gallery to see our orchids in full bloom or download our Free Orchid Production Guide for details on orchid varieties and their growing seasons. Enjoy our videos on various topics including details on our unique product packaging. If you have any questions or concerns feel free to contact us by sending us an email at info@boschorchids.ca, or give us a call. We would love to hear from you! A good hour drive east from the busy city Vancouver, B.C., in the eastern part of the Fraser Valley lies the city of Chilliwack. Throughout the years, many immigrants have settled in this area. The Van den Bosch family, originating from The Netherlands moved to the Chilliwack area in 1972. In Chilliwack as well as in Holland, Van den Bosch Greenhouses were famous for their quality fresh cut roses. In 1975 the first greenhouses were built. To date, their greenhouses total approximately 100,000 square feet. Due to the ever increasing energy costs the company decided to explore crops which would require less heating and lighting. This led to the discovery of growing cymbidium orchids. In 2003 the first tiny plants were flown in. The Cymbidium Orchids needed about five years to mature into producing plants and are now in full production. Throughout the years we have added new varieties and colors, totalling approximately 10,000 Cymbidium Orchids in our greenhouses today. Browse our webpage or visit us on location in Chilliwack. We would be delighted to show you our orchids in full bloom!